Polls by Bloomberg Politics/Des Moines Register and Quinnipiac University show Ben Carsonpulling well ahead of New York businessman Donald Trump in Iowa. 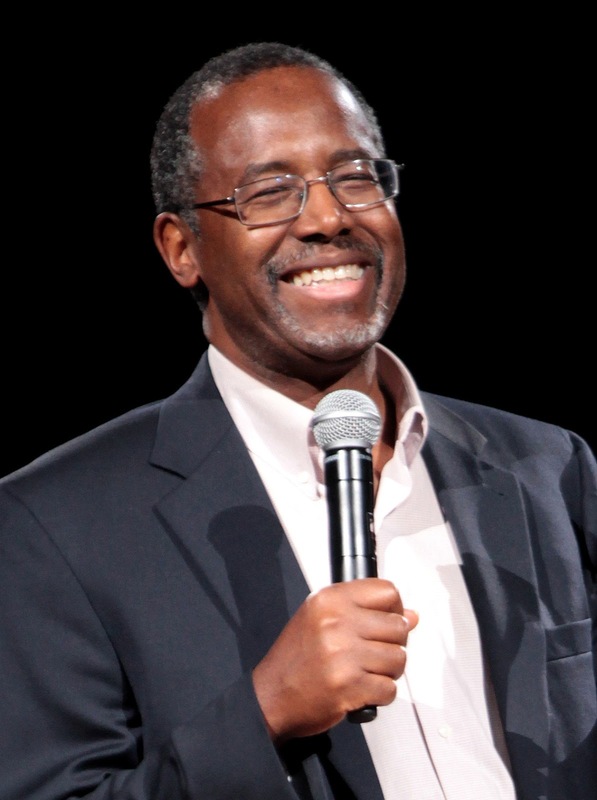 The polls show Carson with a 9 and 8 point lead respectively. Texas Senator Ted Cruz and Florida Senator Marco Rubio are the only other candidates breaking double figures in the polls. Possibly even more importantly the Bloomberg poll found that Carson was the first or second choice of 47% of Iowa Republicans (28% and 19%), while Trump checked was a top choice with 28% (19% and 9%) of those Republicans polled. No longer can Donald Trump say he's leading in every state poll. Polling in Iowa, however, is problematic. Iowa nominates presidential candidates through a caucus system, small meetings of voters held throughout the state in the dead of winter. (Right now the caucuses are scheduled for February 1st though that is subject to change). The success of a candidate in the caucuses depend on 1) the enthusiasm of the candidate's supporters; and 2) the strength of a candidate in getting voters to the caucus meetings. Trump's strength is #1 while Carson will probably be stronger with #2. A candidate like Cruz, who has an enthusiastic following and probably will be well-organized, can't be counted out either. Rubio who has somewhat managed to bridge the gap between the outsiders and the establishment, would also seem to have a shot. Cruz and Rubio also will enjoy lowered expectations in Iowa, but that could change in the months ahead.